Foursquare has gotten to be a big hit in social media. Is your business on Foursquare? More than likely your business is already on there and people have already “checked in” to your business. You more than likely already have a “mayor” of your business that has been there many times. Foursquare is a free location-based mobile application. There are over fifteen million registered users on Foursquare right now. 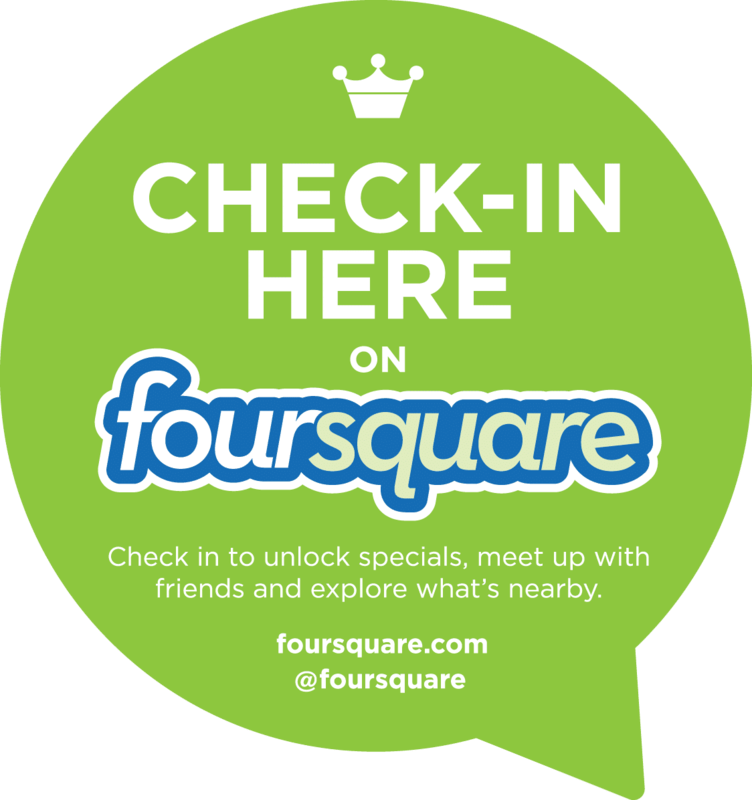 If your business is retail, restaurant, or has a service to offer you can benefit from Foursquare. Why not use it to your advantage? First a little about what FourSquare is all about. Once someone is registered and using the account, every time they go someplace new they “check in”. What that means is they go onto the FourSquare app and say they are at a certain place. This can be any type of place from home to the grocery store to the local park. The person who has the most checkins at that time is the “mayor” of the place. A user will also get points for every time they check in and it runs on a weekly total. Many restaurants and stores have already uploaded specials or contests for their customers to use when they check into their establishment. It has been a fantastic free advertisement for them. Once your social media manager or marketing manager sets up a special or contest on Foursquare for your customers, you will see a rise in sales and new customers. Consumers are drawn to what they can get at a lower price. It is a basic principle of marketing. There are many ways your business can use Foursquare. You can also have more than one special running at a time and can change them out at your leisure. First time customers can have 20% off their bill while every check in a person makes can have 10% off of theirs. You can also run a special that is for every tenth check you make gets you a discount or something free. Plus you can give the mayors of your establishment a bonus special that only they can use. When a person goes to check in to a place on Foursquare it will show the places close to where they are that. If they click on the Specials tab it will show them only the area businesses that are running specials at that time. For example, if a couple check in to a movie theater then clicks on the specials tab it will show them only the businesses in their vicinity that are running a special for check ins. When your business is showing in the Specials tab you have an upper hand over the places that are not using Foursquare as a marketing device. Also customers can leave tips and comments about your business on the application. John S can say you have fabulous customer service while Mary N tells everyone to try the tomato soup because it is so good. I have even seen a tip where the business had the cleanest bathrooms in town. Users are already leaving comments on millions of businesses already. Their comments have quite probably already helped or hindered your business. I personally check in to every place I go. I frequently look at the specials for the area I am in, especially if I am in a new area. When I cannot decide on a restaurant, I always let the specials make the choice for me. Whoever has the best special has earned my business for the day. It has been a great personal tool on trying new businesses and showing loyalty to my favorites. The choices are endless to what you can do on Foursquare. It is up to you on how you want to use it. Put Foursquare on this year’s marketing strategy plan and watch your business grow.